"Movements" is a live performance-based VR experience that generates beautiful music and abstract visuals based on the natural movements of your body, allowing you to become the conductor of your own psychedelic orchestra. It is an experience most people never have: the experience of shaping music as it's made using our most natural instrument – our body. 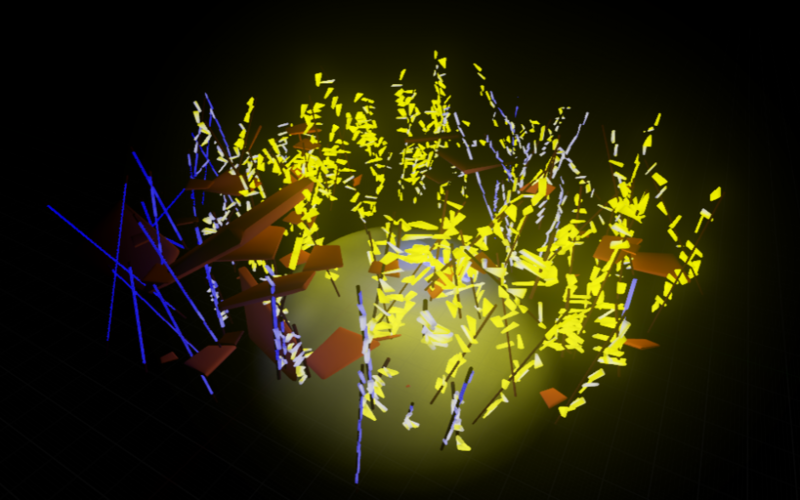 The 15 – 20 minute performance will be a music piece conducted live in VR by composer Elliot Cole, with projected visuals created in tandem with the music. Audience members can experience the performance together and watch the spectacle unfold. A limited number of the audience will have a chance to experience the work in the VR headset.